The cost to install a disc golf course can be very inexpensive. Some courses can be installed in underutilized wooded areas without much preparation or maintenance costs. Equipment and installation of a nine hole course using voluntary labor from a local club can cost less than $3,000, and may require little or no maintenance. Disc golf courses can also be installed on existing groomed parks that are also available to public use. While we love disc golf, there are certain parks and areas where for safety reasons, disc golf courses simply should not be. Disc golf courses should not be installed permanently in mixed use areas with frequent heavy traffic. 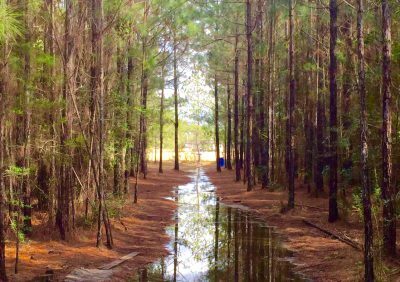 How Does Disc Golf Differ From Ball Golf When It Comes to Land Requirements? There are many ways in which the game of Disc Golf and traditional ball golf differ, but let’s focus on the reasons which highlight why it is a great idea to add Disc Golf to your local park, private property, existing golf course, etc. Disc golf courses can work with substantially less area than ball golf. An 18 hole Tournament Championship level disc golf course can easily fit on a typical 9 hole ball golf course. A beginner 9 hole disc golf course can fit on just a few acres of land. Though ball golf typically involves “hazards” or “rough” areas where a ball can become difficult or nearly impossible to play, such as ponds, sand traps, natural patches of trees and underbrush, etc. most of the game requires meticulously groomed grounds and fairways, and the property must be quite large. Maintaining a competition level ball golf course is very expensive. Installing a disc golf course on existing land adds little or no additional maintenance costs. A disc golf course can be fit onto a smaller piece of property, and the property itself can either be groomed, or left completely natural or “wild”. 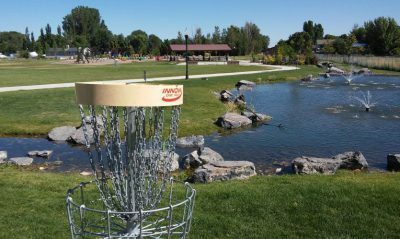 In fact, some of the most famous competitive disc golf courses are designed within forested areas, surrounded by ponds or lakes, and on hillsides. The more rugged and natural the terrain, the more challenging the game becomes, which is part of the course appeal. There are very popular public and private courses around the country that range from traditional groomed golf courses and park lands, to farmland, to forested lands, and rugged public lands. 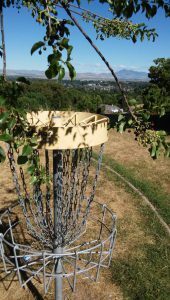 An existing city, county, or state park can install a disc golf course with as few as six holes, or up to nine, or eighteen, or more holes, using the existing park grounds. The distance from the tees to the holes can range anywhere from 150 feet to 700 feet or more, depending on the natural flow of the terrain. Courses can be designed to be as beginner-friendly, or as competitive as desired.